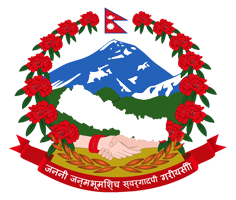 National Influenza Centre is one of the newly established and highly equipped departments of National Public Health Laboratory (NPHL) designated by Ministry of Health and Population (MoHP) and recognized by World Health Organization (WHO) for the purpose of participating in WHO Global Influenza Programme. Upon such recognition by WHO, NIC become member of the WHO Global Influenza Surveillance Network. (WHOCC) Japan on 27th November, 2011. Serve as the key point of contact between the World Health Organization and the country of origin for virological and epidemiological Surveillance of influenza and provision of influenza virus isolates to the WHO Global Influenza Surveillance Network. Maintain active Communication with the members of the WHO Global Influenza Suveillance Network. Collect appropriate clinical specimens from patients throughout each year and especially during the influenza Season and outbreaks for the isolation of influenza virus. Undertake initial identification of virus type and subtype. Forward representative virus isolates and any low reacting viruses using the WHO reagents kit provided through the WHO network to a WHO Collaborating Centre for Reference and Research on Influenza within a defined period. Alert the WHO Global Influenza Programme on any influenza isolate that cannot be readily identified using reagents provided through the WHO network and immediately forward the isolate to a WHO Collaborating Centre for Reference and Research on Influenza. Alert WHO and/or any of the WHO Collaborating Centers immediately on the emergence of outbreaks of influenza viruses that cannot be readily identified with the reagents in the WHO kit, or other indications of the emergence of influenza viruses with pandemic potential. Report regularly during the influenza season preferably weekly by electronic means on the extent of national influenza activity and intensity of virological surveillance and ensure timely distribution of this information at relevant national and international levels through for example WHO FluNet. Provide to the WHO Global Influenza Programme an annual national Summary on influenza activity, virological surveillance and other relevant information on the influenza epidemiological situation. These sentinel sites collect samples from suspected patients meeting case definition of Influenza like ilIness (ILI) and Severe Acute Respiratory Infection (SARI) for virus identification and isolation. Participating hospital laboratory perform rapid test and give immediate feedback to clinicians and dispatch samples collected in viral transport media (WTM) to NPHL maintaining cold chain within 48 hours of Collection. Patan Academy of Health Sciences (PAHS) and Walter Reed AFRIMS Research Unit Nepal (WARUN) are collaborating partners for active support during influenza season and sharing of specimen with NIC, International organization such as WHO and WHO-IPO has been supporting in various aspects during influenza outbreak and specimen transportation from sentinel sites of NISN. June 2009: Detection and molecular characterization of pandemic influenza virus AH1N1 in human Specimen collected at Tribhuvan International Airport during pandemic influenza virus outbreak 2009 . October 2009: Community spread of Pandemic influenza AH1N1 2009 was established in Kathmandu valley on 15th October, 2009. 2010: Establishment of highly equipped National Influenza Centre at NPHL. April, 2011:Madin Darby Canine Kidney (MDCK) Cell line had been successively cultured and propagated at NPHL for the isolation and characterization of influenza and para-influenza viruses. June, 2011: Influenza virus was successively isolated and characterized from clinical specimen collected and preserved at NPHL. Human Cases of influenza Specimen Collection, storage, transportation and processing at NIC, NPHL. Detection and characterization of influenza virus types (Influenza A & B) & subtypes (Influenza. A/H1, AH3, A/H1N1 Pdm, A/H5) by RT-PCR. Influenza Virus isolation & identification by Serological/Immuno-fluorescence Assay (IFA) technique. Sharing influenza isolates with WHOCC for the development of candidate vaccine. Sharing week-wise influenza report with GISRS. Sharing any unidentified influenza isolate with Global Influenza program for reference and research on influenza. Immediate response on Influenza like Illness (ILI) and Severe Acute Respiratory infection (SAR) outbreak with co-ordination of Epidemiology & Disease Control Division. Co-ordination and sharing of information about human influenza activity with Animal Health Component. Co-ordination and management of diagnostic kits accessories, Sample collection, storage and transportation of clinical specimen from NISN sentinel sites to NIC, NPHL. Situation up-date and feedback information sharing to all NISN sentinel sites. Ministry of Health & Population, Nepal, WHO-Country Office, Nepal, WHOSEARO, India and WHO-Head Quarter, Geneva. IRR CDC, Atlanta, Georgia, USA, WHOCC, National Institute of Infectious Disease, Japan, Institute of Wirology, Hong Kong University and NIH, Department of Medical Sciences, Thailand. External Quality Assessment Support: WHO Influenza EQAP, Virology Division, Centre for Health Protection, Hong Kong SAR and CDC, Atlanta. The office will be closed on public holidays. National Public Health Laboratory. © 2019. All Rights Reserved.